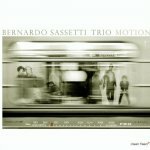 Content by tag "Carlos Barretto"
Quite often, when hearing compositions by pianist Bernardo Sassetti, it's easy to mistake him for an American. His folksy charm has that Aaron Copland-meets-Bill Frisell kind of Americana. But no, this huge talent is Portugal's own son. 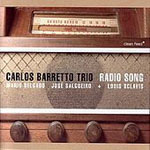 Portuguese bassist Carlos Barretto's 2002 recording Radio Song was originally released on the obscure CBTM label. 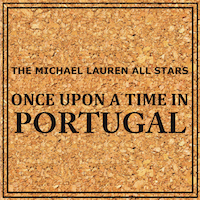 Reissued by Clean Feed, this edition complements his 2004 album Lokomotiv (Clean Feed) with a session of highly charged, free-wheeling post-bop, spiced with traditional Portuguese folk melodies.